In TME’s offer, you will find GP universal charger from STANDARD series. PB420/GP is easy to use, has LED indicators of charging progress and 2 independent charging channels – for 2 or 4 NiMH AA (R6) or AAA (R03) rechargeable batteries. Charging control mechanism built-in into the charger ensures safety of use. 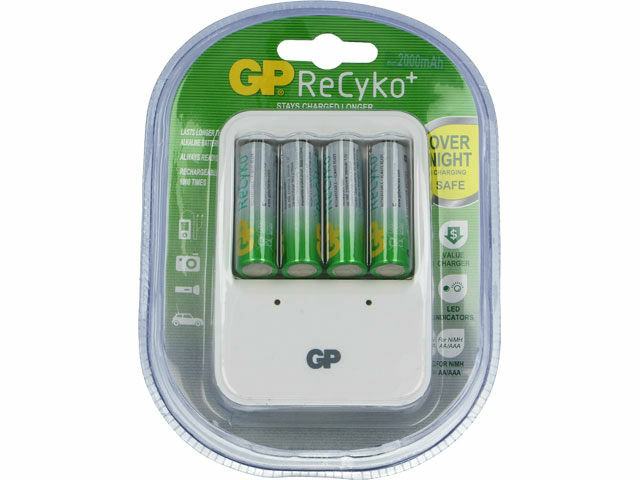 The kit contains 4 AA GP ReCyko (2100mAh) rechargeable batteries.